It’s almost Halloween, and it’s Stockton Arts Week, time to paint your unique Glow in the Dark pumpkin to display! 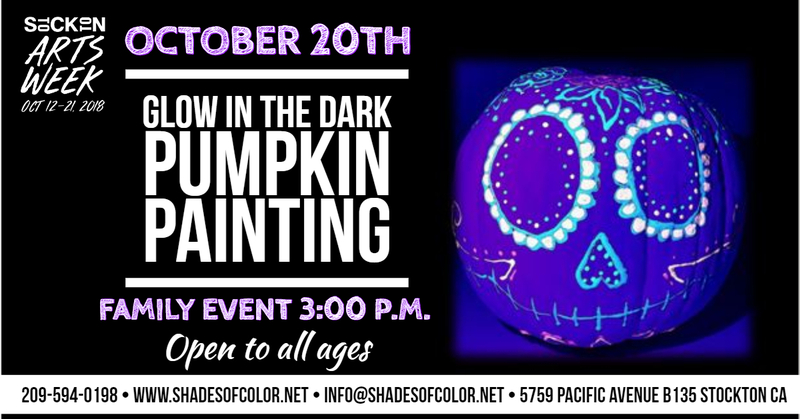 Join Shades Of Color Paint for this instructed class and create your own version of SPOOKY! This event celebrates Stockton Arts Week! One pumpkin and all glow in the dark paint included. Advance ticket purchase only, $25.00 per person. Must purchase ticket by 10/18.